This bustling university community and the surrounding valley is just 80 miles from Salt Lake City, but feels a world away. Set against the Bear River Mountains, Logan has a friendly small town vibe and is home to Utah State University. Just 10 minutes away from the Wasatch-Cache National Forest, Logan offers fast access to outdoor adventures like hiking, biking, climbing, boating, and skiing along with nearby community and cultural sites. When visiting, here are 15 adventures you shouldn’t skip. 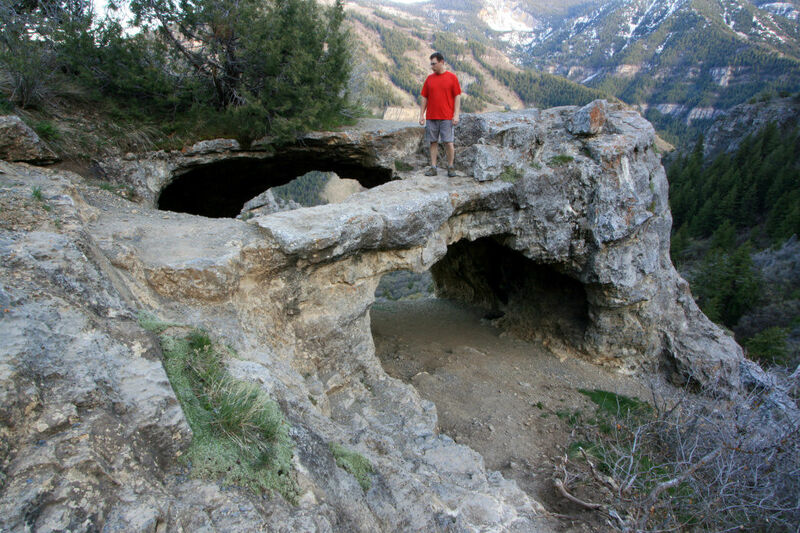 Located five miles up Logan Canyon, this steep hike takes you three miles and 2,300 feet up to a natural limestone triple arch and cave. 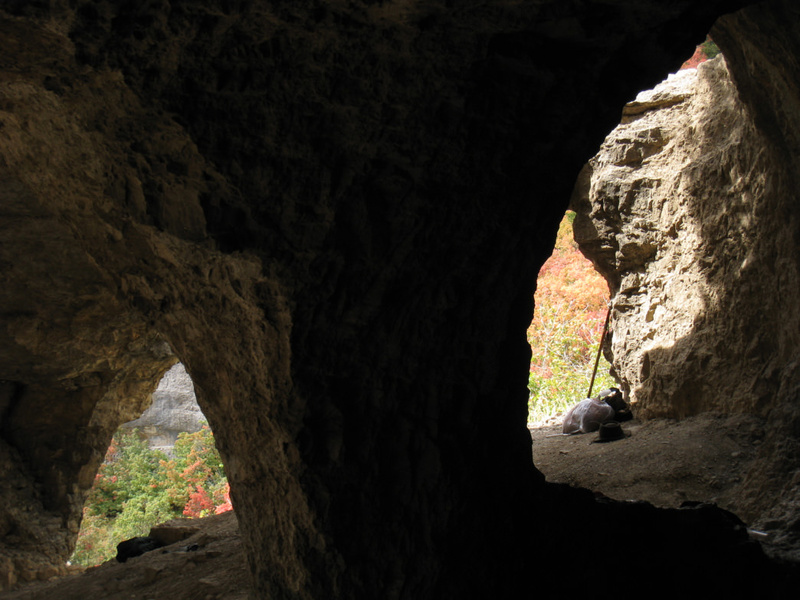 On clear nights, views of Logan Canyon and the Milky Way make the Wind Caves one of the area’s most popular trails. If hiking at night to see the stars, come prepared with headlamps to light your way. On summer days it’s best to hike early, as the trail is exposed and hot. Logan has an array of unique and affordable locally owned restaurants, but foodies will especially appreciate a true taste of Cache Valley by taking a self-guided Cache Valley Signature Products Tour. Many of the food production facilities here offer behind-the-scenes tours of how their food is made. You can visit 11 different businesses that make everything from cheese to cookies and ice cream to honey. And yes, there are samples at each stop! In addition to tasty treats from Gossner Cheese, Cox Honeyland, and Mt. Naomi Farms you will also find handmade soaps, lotions, pajamas, and socks along the tour. Experienced rock climbers flock to Logan Canyon to ascend its overhanging limestone and quartzite faces from spring through fall. Cool canyon temperatures and low humidity make it enjoyable even in the summer. The majority of the canyon’s 275 routes are bolted sport climbs ranging in difficulty from 5.10 to 5.12, and climbers will need to bring all their own gear. Sleep under the stars or in a cozy cabin at Hyrum State Park. This 450-acre manmade lake is a popular spot to boat, kayak, swim, waterski, wakeboard, and canoe. Canoe and boat rentals are available all summer long. Cast a line along the sandy shores and let the kids play along the beach, or hike the nearby trails. It's just 15 minutes from Logan, so city amenities are easily accessible if you need them. Cache Valley and Logan’s diverse road biking options make it a popular place for new and experienced cyclists alike. Start with a flat, fast ride through Cache Valley’s beautiful rural farmlands—where you’re more likely to see a cow than a car in the road. Then challenge yourself by pedaling 55 miles up and down Logan Canyon past canyon walls and hiking trails. Turn around at family-run Beaver Mountain Ski Resort for a fast down canyon descent. Not like the mega resorts you may have skied before, this family-owned ski area prides itself on staying small. Beaver Mountain first opened in 1939 and today still features low ticket prices, a welcoming vibe, and just four chairlifts. The relaxed pace here and easier terrain makes it a great place to learn to ski before visiting the Wasatch’s more challenging ski resorts. Get a taste of Utah mountain biking without overdoing it on the Logan River Trail, an in-town trail along the water. The trail is an ideal warm-up to Utah’s bigger rides as it features a small section of singletrack for testing your mettle. About seven miles round trip, the ride hugs the river and passes two ponds on its way to Logan Canyon. Relive the Old West at the American West Heritage Center, a huge outdoor living history museum covering Native American, pioneer, and mountain man time periods. Historically styled buildings paired with actors dressed in period costumes make up a bulk of the exhibits, but you can also milk a cow, experience teatime, and see the bison herd. You don’t need a fishing license to cast a line at Mountain Valley Trout Farm. Practice catch and release if you like, or keep the fish you catch and have it cleaned and filleted before you leave. Located in nearby Smithfield with a beautiful view of the Wasatch Mountains. 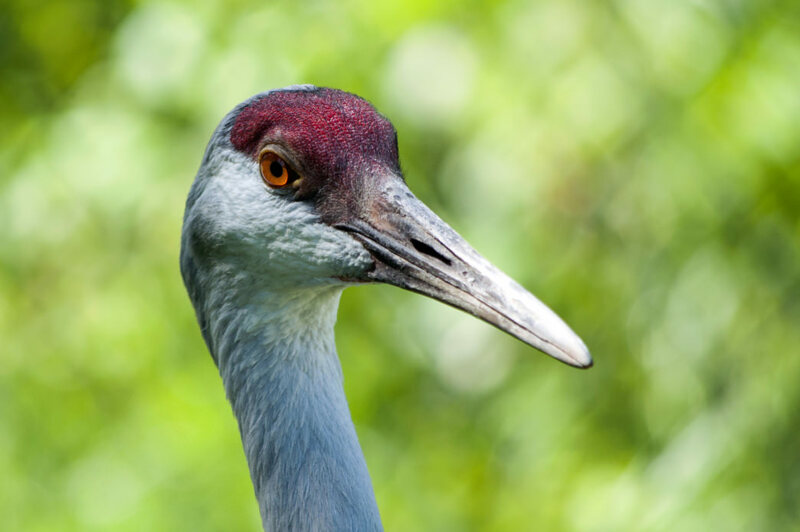 Home to over 100 unique species, Willow Park Zoo is small, but also much quieter and less expensive than Utah’s larger zoo. They host summer camps, story time, and even murder mystery dinners at the zoo. And, kids will enjoy playing afterward in the adjacent park. Children’s admission is just $2 and adults $3. Explore and learn about nature along the Logan River at Stokes Nature Center, a free nature area in the mouth of Logan Canyon. Adults and kids will enjoy the easy hike along the river where you can spot local wildlife, see live animal exhibits, play hands-on learning games, rope swing, and much more. Outdoor camps offered all summer for kids ages 3-15. If you're looking for an easier hike with a view, then hike to Tony Grove Lake This simple 1.2-mile trail winds around the lake. If you don't feel like hiking, you can rest your feet and take a kayak or canoe on its glacial waters. Fisherman flock to the beautiful lake too, but it’s actually best known for the spectacular summer wildflowers and brilliant fall colors that surround it. Don’t wait ‘til winter to go ice skating. Eccles Ice Center is open year-round and houses an Olympic-size ice rink and rental shop. If visiting in summer, plan to warm up afterwards with a picnic at the outdoor sites, a round of horseshoes, and a game of volleyball. Perfect for large group gatherings. See Rocky Mountain elk up close every year from December to February while they bed down for winter. A natural winter habitat is not available to these elk in Cache Valley so the Hardware Ranch protects and feeds up to 600 of them during colder months. Want a closer look? 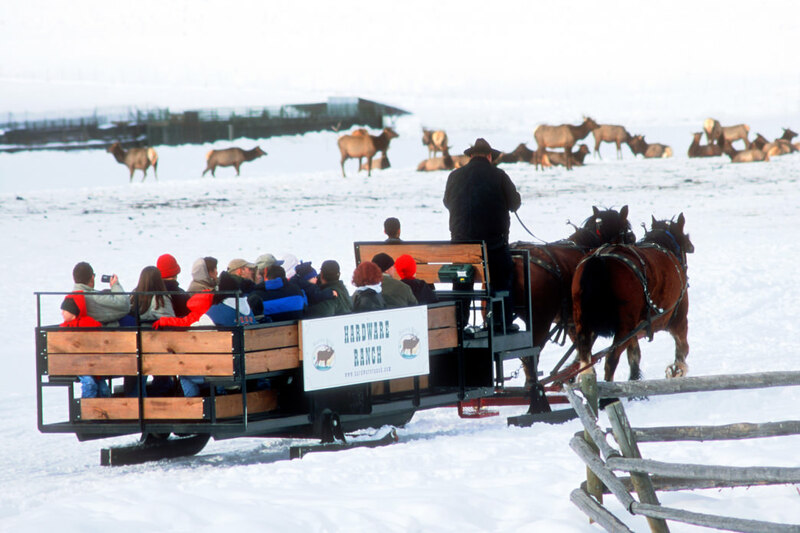 Take a horse-drawn elk-viewing ride for just $5. During summer, the elk refuge turns into an outdoor recreation paradise with primitive camping and 15 miles of trout fishing available on the property. Nicknamed the Caribbean of the Rockies, the turquoise-colored Bear Lake straddles the Utah/Idaho state line and is the perfect place for every kind of water recreation. Rent a kayak or stand-up paddleboard and explore its vast shores, or just fish and lounge along the beach. Afterwards, cool off with a famous raspberry shake. Stay the night and camp on the beach, or luxuriously glamp in Conestoga Ranch’s well-appointed wagons. Here's one extra adventure that we couldn't forget to include. Don't forget to check out Cherry Peak Resort in Richmond, the newest ski resort in the state!